The Chinese Government has launched a new tourism policy, with the aim of significantly enhancing tourism development in the country and establishing China’s tourism industry as a significant economic force in China’s domestic and international tourism markets. You can download the policy document, in English, by clicking here. In this post, I give an outline of the document and offer some brief analyses of it’s key aims. In our new book, we’ll be looking at this policy in more detail in a case study. The policy begins by stating some guiding principles. As with all Chinese policies, it is aligned with the key political ideas that drive the modern(ising) Chinese state -‘Deng Xiaoping Theory‘. Dengism, as it is also known, is (amongst other things) an attempt to develop the Chinese economy and society in line with its guiding revolutionary and communist principles, but in a way that allows the country to engage constructively with the neoliberal world economy. This policy exemplifies Dengist policy, emphasising the Chinese national and socialist aims of the policy whilst also promoting individual livelihoods, sustainable development, SME growth and economic development. This is a demand-side measure to develop the market for China’s tourism industry by enforcing regulations on statutory paid annual leave entitlements for Chinese workers. By increasing the number of ‘rest days’ available to the population,this should (in theory) lead to people wanting to spend their time and money on products and services offered by the domestic tourism industry. Also, this should help China’s outbound industry to grow. In addition, schools and universities are to be asked to consider both extending and changing their holiday periods. This measure aims to increase the availability and accessibility of key tourism destinations and attractions. ‘Public museums, memorial halls and sites for patriotic education will gradually open to the public for free’. Local government is asked to improve the quality of tourism transport and businesses are encouraged to give favourable treatment to tourists. The Chinese government intends to increase the supply of tourism facilities including new parks, ‘tourism villages’, family and budget hotels, cruise terminals, marinas and tourism zones. This aim also highlights the need to improve access to tourism for those with additional needs. This is a supply-side measure that has the intention of diversifying and developing the Chinese tourism industry through the creation of new tourism sub-sectors such as sport tourism, medical tourism, bicycle tourism and others. The policy also mentions the development of ‘red tourism’, which is a form of political tourism that celebrates the Chinese state and its recent revolutionary history, and aims to promote ‘fine traditional culture’. This measure also includes a commitment to developing the knowledge base for tourism development, increasing R&D in tourism and supporting technological developments in the tourism industry. 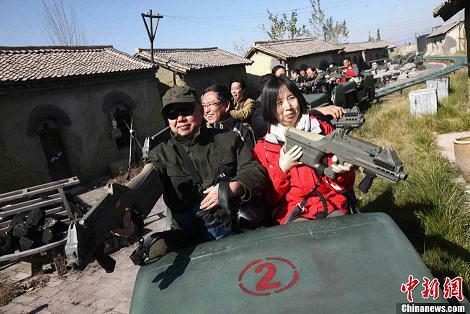 ‘Red tourists’ experience a historical gun battle. This section of the policy is the least novel, and the most comparable to other national tourism policies. It sets out the ambition to create new tourist information services, including TICs, road signage and websites. Along with this, the policy gives priority to staff training and higher education and vocational education in tourism management. The final measure is an aim to develop service and quality standards for the tourism industry in China, including a quality guarantee system for tourism and leisure. The section of the policy document that covers the governance of tourism and the implementation of the policy is very short. Given the top-down nature of the Chinese political system, it is likely that the governance arrangements are fairly established and that there won’t be a set of tourism-specific institutional arrangements. The policy refers to ‘development and reform commissions, tourism departments, trade unions, communist youth league organisations, women’s federations and relevant industrial associations’ as all having a role to play in implementing the policy. This new policy document gives an insight into the modernisation and development of China’s tourism industry. In common with many national tourism policies, including the latest UK Tourism Policy, it makes no mention of China’s outbound tourism sector, and focuses wholly on the development of the national tourism product. Despite the widely held perception that China does things differently to the rest of the world, this is actually a very orthodox form of tourism policy. It concentrates on product diversification and development and contains some standard aims to increase education and training and to improve tourist information. The size of the Chinese domestic tourism market is huge, with some estimates suggesting that there may be as many as 1.7bn domestic tourist trips taken each year. 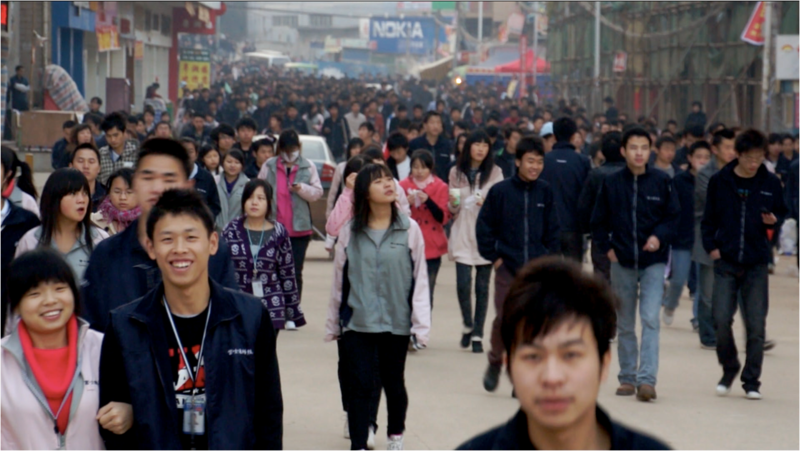 As the Chinese government attempts to develop their domestic markets and rebalance away from being an export-oriented economy, to one that is less-reliant on overseas economies, especially the USA, the tourism and leisure sectors offer an opportunity to develop both domestic consumption and new employment sectors. This policy takes a very broad overview of the Chinese tourism industry, aiming to increase quality and diversity in all of its aspects. The lack of a clear set of targets or implementation plans in the policy document means that it will be difficult to evaluate it’s success, but the strength of the central Chinese state suggest that the many of the aspirational aims of the policy will be funded and delivered and that this will be carried out on an immense scale.